Way back when, before the days of Atari, there were these things called coin-op games. These mechanical contraptions came in all kinds of different games. The first I ever saw were at the sadly gone, but not forgotten Pixie Kitchen (right) in Oceanlake (now Lincoln City), Oregon. In particular, one of the more interesting ones was a coinop baseball game. I tried making one out of wood and cardboard and erector set parts. I was somewhat successful, but it broke down a lot. Fast forward to the early seventies. My cousin, Randy Emberlin, was telling me about this new kind of coinop game that used a TV screen. There weren’t many around, but they had one over at Portland State, so we drove over and had a look. The thing was called ComputerSpace. There were some flying saucers and you had a space ship, and there were thrusters and acceleration and Wow! It really ate quarters! Apparently it wasn’t too popular off campuses (too hard to play), but it didn’t matter, I had to get me one of these… or make one. After graduating from college, I landed a job at National Semiconductor in the calculator/home computer division. We had a small group working on a home computer/video game machine. We got a wire-wrap version of the thing working and I made a few games for it. One was a ComputerSpace-like clone and another was the forgettable “Turtle Derby” probably the most boring video game ever made. For various reasons, (hopefully not having anything to do with Turtle Derby), National cancelled the Home Computer project and most everyone from that group moved on to Atari. Leaving National, I went to work for the legendary Jay Miner. Sadly Jay died in ’94, far too young. He will be missed. There are obviously some folks left off the list. 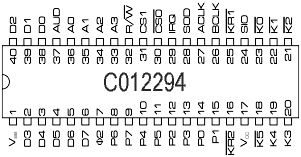 For example, who were the chip and layout designers for Antic and CTIA? Interestingly, the Pokey design team, Mark Shieu, Steve Stone, Delwin Pearson and myself all came from National. The Pokey chip (right) was one of the interface chips for the Atari 800 system. The name Pokey comes from the words POtentiometer and KEYboard. Potentiometer is the technical term for the game paddles popular in pong-like paddle games. 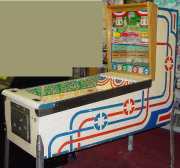 The Pokey chip was also responsible for the Audio special effects and music generation. It took us about 9 months to take Pokey from concept to a working chip. With today’s technology you could probably turn out a chip that size on a weekend. In fact today Pokey is emulated in software. One day during the Pokey design, circuit designer Mark Shieu called me up at home to make sure it was ok to make a couple changes to the Pokey audio circuit. “Sure go ahead”, I said. The only problem was Mark had called a wrong number and the joker at the other end of the phone almost screwed up the Pokey project. Fortunately a couple weeks later Mark mentioned the changes again and after a little “excitement” we got things straightened out. Once Pokey was working there was some free time while we were waiting for the other two chips to be completed. So I started working on the game that was eventually to be Star Raiders. I wanted the game to have a 3-d looking out the cockpit feel like Star Trek or Star Wars. But since nobody had done one of these before I wasn’t sure what the 3-D computer algorithm should be. Back then you couldn’t click on, say a wikipedia article on 3D Projection or Cordic Rotation, nope, you had to figure it out yourself. Anyway, after stupidly wasting a few weeks trying to “guess” the algorithm, I finally sat down and worked out the trigonometry on paper and ten minutes later I had the formula. One of the unique aspects of Star Raiders (at that time anyway) was that it combined both an action game and a strategy game. The strategy part came from the Galactic Chart. The chart was inspired by the early Star Trek text computer game. The object behind the game was pretty simple. Looking at the Galactic Chart you could see that the galaxy was infested by Zylons and your job was to clean up the galaxy. Destroy all the Zylons and you win the game. Getting a good ranking however was a little more complicated, and depended on how much energy you used, how much time you took and so on. The best ranking was “Star Commander Class 1” and the worst “Galactic Cook Class 5”. 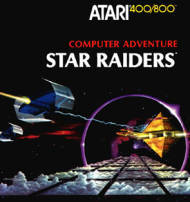 As it turns out, Star Raiders was a big hit on the Atari 800 and recently was on the List of the 10 most important video games of all time, NY Times 2007. In 1983 the video game industry crashed. In 1984 I found myself trying to peddle a video game to Atari. Atari was planning on calling it “The Last Starfighter” as a tie-in to the movie. In fact, in late June, Atari flew me down to Los Angeles to see a screening of the movie. The next Tuesday, Jack Tramiel bought the company and laid most everyone off. It looked like the end of video games for Atari. Then in 1986 I get a call from Atari, they are interested in getting back into 2600 video games and so they ended up buying the game, now called Solaris. I believe that originally Solaris had a much simpler chart design, but when Atari came back in ’86 I added the 16 charts that became the final game. 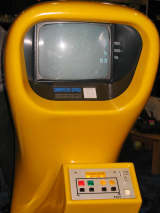 Considering that by 1986 Nintendo was dominating the business, Solaris was well received. I went on to do two more games for Atari the last being Radar Lock in 1988. After that I tried doing another space game for the Nintendo NES, but it took too long to complete, and I missed the market. The days of the single programmer creating a video game were over. Solaris ran in a 16k multi-bank rom cartridge and used 128 bytes of ram. Below is a snippet of code used in the Solaris horizontal positioning kernel. The Solaris Manual Story – Yet another Atari years story. How the Solaris manual came to be.